Australian streaming service Stan has inked a new deal that will see Disney-produced movies and TV shows come to the platform. “Disney is one of the most iconic entertainment brands globally and we are very proud to be partnering with them to bring a huge collection of their biggest live-action and animated films and TV programmes to our customers," said Stan CEO Mike Sneesby. 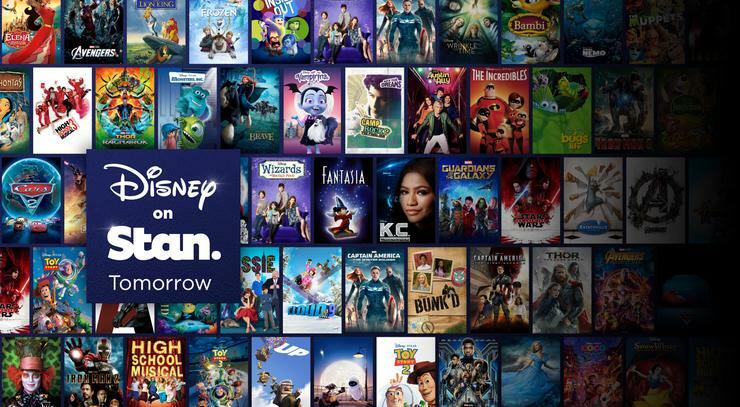 "With hits from across all their biggest franchises including Disney Pixar, Marvel, Lucasfilm as well as Disney Channels’ TV series and movies, the deal further illustrates Stan’s ongoing commitment to provide our customers with the world’s very best premium entertainment." The injection of new, popular content from the Disney catalogue will likely aid in the service's bid to close the significant gap between it and global streaming giant Netflix. According to Roy Morgan, 9.8 million Australians have a Netflix subscription in their household as of in the June 2018. Earlier this year, Stan announced it had surpassed one million active subscribers. Overseas, Disney is actively gearing up to launch their own Netflix competitor, Disney+, in late-2019. However, the entertainment giant has remained tight-lipped about whether or when the streaming service will come to Australian audiences. It's been speculated that this new deal may delay Disney's ambitions to do so. That said, the omission of any mention of the streaming content that Disney is actively-developing ahead of the launch of their own service (such as Star Wars spin-off The Mandalorian) from the announcement of this new partnership is a conspicuous detail. Stan subscribers will be able to access the new content from this week.